For years, the US was keeping an eye on the Ukrainian billionaire and former foreign minister. Between 2006 and 2011, Poroshenko's name was a direct or indirect subject of hundreds of cables released by WikiLeaks. A simple search for ''Poroshenko'' on WikiLeaks' website gives at least 350 documents mentioning his name. But some of the descriptions provided by US diplomats are far from complimentary. Poroshenko is not new to politics, having occupied various prominent posts in Ukraine in the past. The majority of the negative characteristics were given to Poroshenko by US diplomats between 2006-2009 - the years he served as a deputy of the Verkhovna Rada and council chair of the National Bank of Ukraine. ''[Former Ukrainian Foreign Minister] Konstyantyn Hryshchenko claimed that Poroshenko appeared to be working hard to scuttle a possible deal between Yushchenko and Yanukovich, because such a coalition would likely freeze out the disgraced oligarch. End summary,'' he said. Then-Prime Minister Yulia Tymoshenko was one of the people behind the corruption accusations. Poroshenko was then one of Viktor Yushchenko’s close allies during the Orange Revolution. A series of US diplomatic cables shows the Poroshenko-Tymoshenko rivalry, revealing that he would stop at nothing in order to get back at Tymoshenko for accusing him of public corruption. Beginning with 2009 - the year Poroshenko became a Ukrainian foreign minister - US descriptions began to turn around, with personal characteristics becoming more favorable. 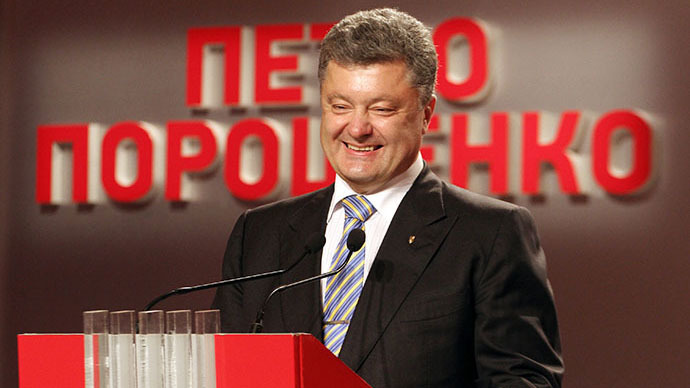 Later, cables talked about Poroshenko developing pro-Western views. US Ambassador John Tefft’s report from February 17, 2010 said that it was Poroshenko who recommended that then-President Viktor Yanukovich make his first visit to Brussels instead of Moscow. Poroshenko already has a meeting scheduled with Barack Obama, after the US president expressed his readiness to meet with his Ukrainian counterpart while on his European tour. The meeting is scheduled for June 3, according to Kommersant. 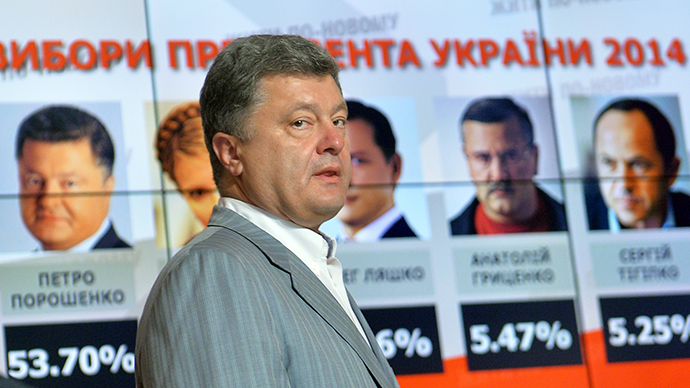 The Ukrainian leader is one of the country's richest businessmen. He has been dubbed the 'Chocolate King' because of the fortune he has made in confectionery, which is worth more than US$1.3 billion. Poroshenko also unofficially controls Ukraine’s Channel 5. Poroshenko officially won the election as he received 54.7 percent of the votes, the country's Central Electoral Commission (CEC) announced Thursday. The president-elect's main competitor, Yulia Tymoshenko, was a distant second, with just 12.81 percent of the votes, according to exit polls. 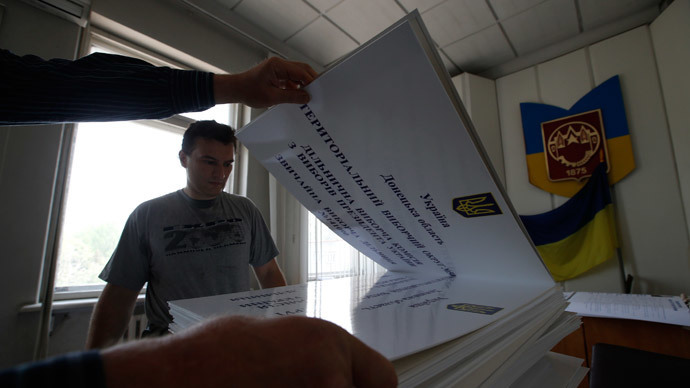 The inauguration ceremony for the new Ukrainian leader is scheduled to be held sometime between June 8-10. Meanwhile, Kiev intensified its military operation in the eastern regions of Ukraine in the run-up and following the election, escalating the conflict further.